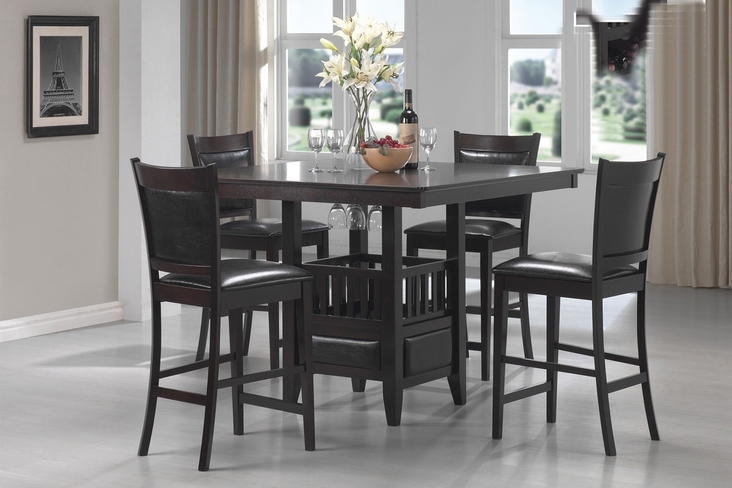 Create a contemporary and casual dining escape with the Jaden Collection by Coaster Furniture. 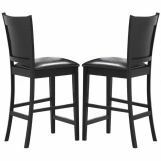 Crafted from select hardwoods and okume veneers, the Jaden collection includes simple yet stylish counter stools and a storage-savvy pub table. 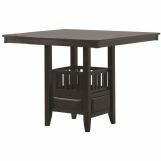 With features including a convenient center storage cabinet, wine glass holders, and durable black leather-like vinyl seats, this dining group brings only the best to the table. 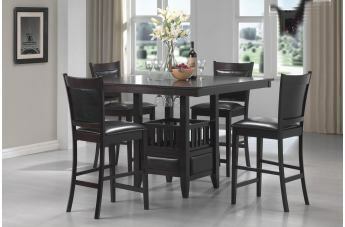 Finished in a beautiful rich cappuccino, Jaden is a collection that effortlessly modernizes and refines your home.